Ok so this is officially the best foundation I’ve ever used! Arrrgh I’m so excited that I have this, my holy grail foundation!! 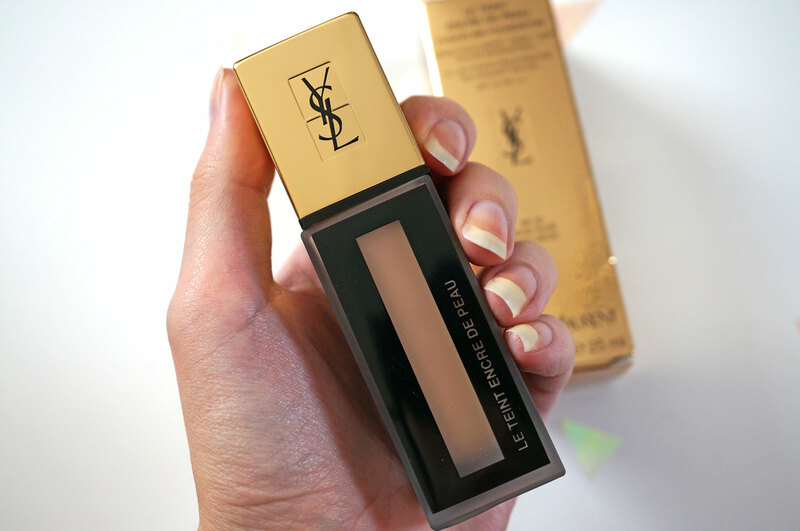 I saw the YSL Fusion Ink Foundation a while ago doing the rounds on some of the bigger blogs, and they all raved about it, I’m always on the hunt for the perfect foundation so I headed off to Jarrolds just to try out a sample. The assistant colour matched to BR30 which gives my milky white skin tone a hint of colour and warmth – just what I wanted! And she gave me a lovely large 7 day sample to take away and try at home. As soon as I got home I tried the sample out and I was instantly wowed! 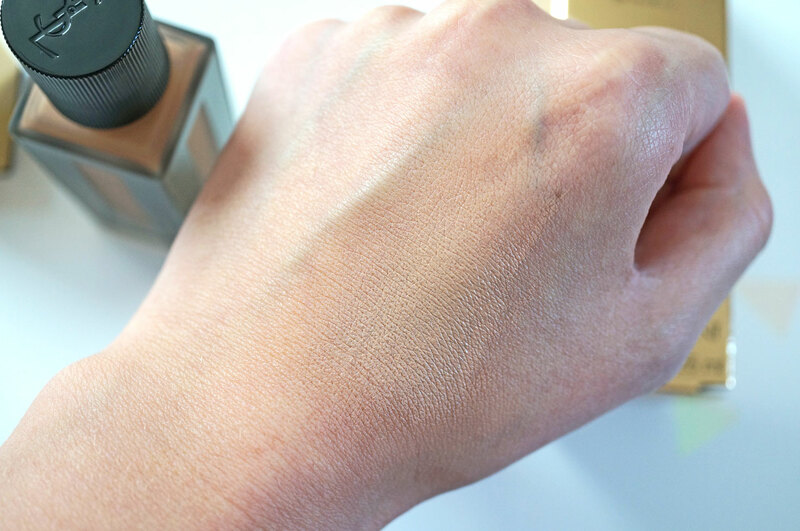 I could see straight away why they called this Fusion Ink – the product kind of sinks into your skin and acts as though an ink would, this is pretty hard to explain but if you get yourself a sample you’ll see what I mean! 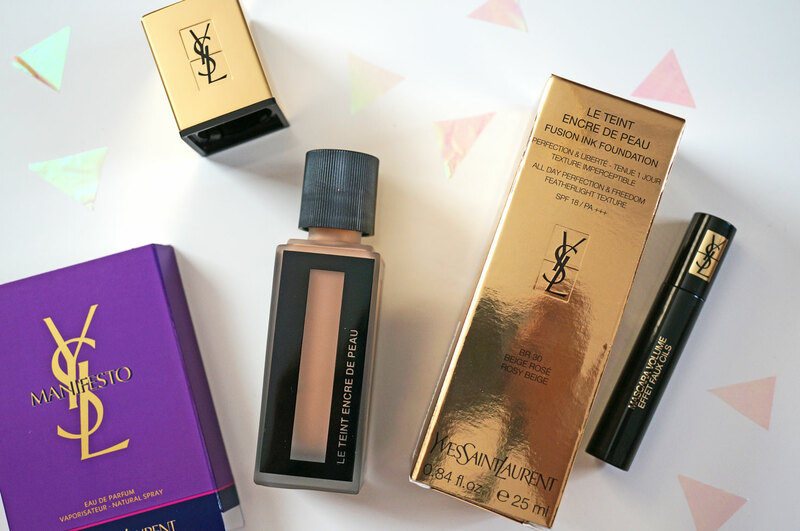 As soon as this was available to purchase I headed to the YSL site to nab one – I’d recommend buying from there if you are going to get this as you get free delivery and extra samples included with your order. I got the Volume Effect Mini Mascara and Manifesto mini fragrance spray samples. Can’t beat a freebie or two hey! The applicator was the same style as I received with my sample. Now I have to say I’m not overly excited by this. I’m guessing you’re just supposed to dab it on your face? I don’t really like the thought of applying it and touching my face, then putting the wand back into the pot. I know my skin would always be clean before I use foundation but I just don’t like the thought of it, it seems a bit unclean somehow, but maybe I’m just over-reacting? I ended up just tipping a bit onto the back of my hand and applying from there. 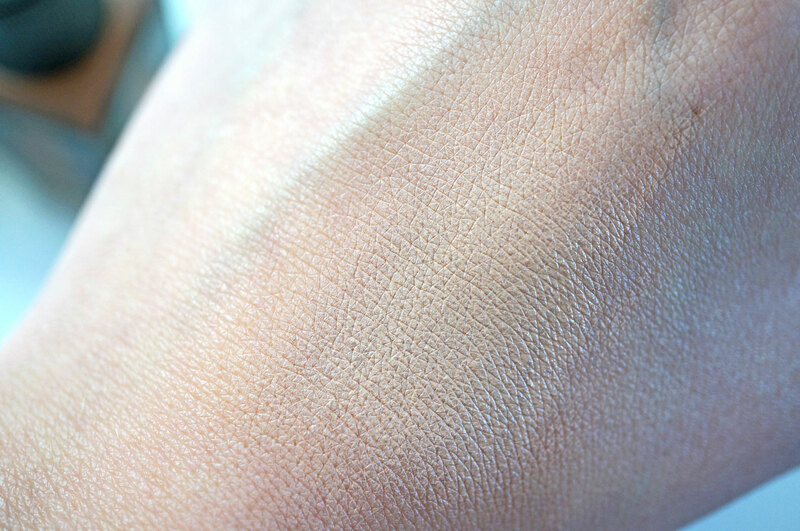 This foundation gives a gorgeous semi-matte finish, it’s very natural looking and yet somehow luminous, there’s not a hint of powder or chalkiness to be seen! I’m not usually a fan of matte finishes due to my dry skin, but this stuff truly is great. 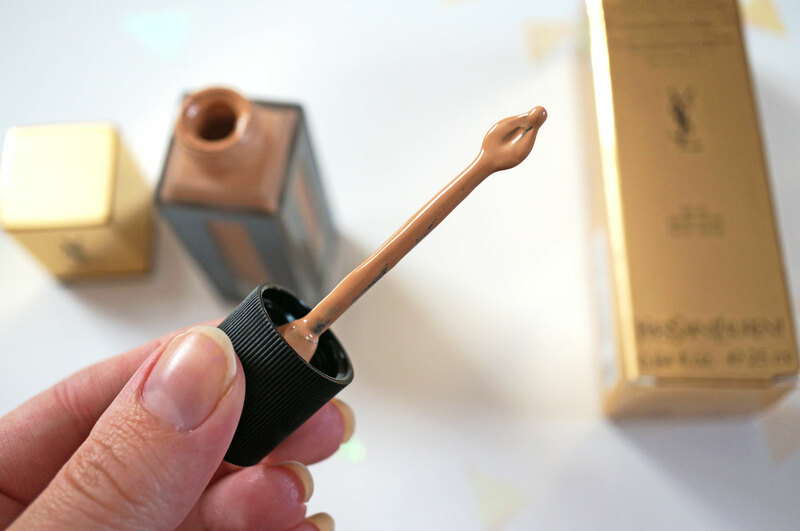 This foundation gives medium to full coverage that’s easily buildable, and I can confirm it definitely lasts all day! Next Post The Weirdest Nail Colour Ever? ?